I wonder what does letting go really mean? I am a big fan of Richard Carlson and his timely wisdom "Don't Sweat the Small Stuff". I know I worry too much about things that don't matter but what about the things that really DO matter. What stops me from seeing clearly when my life is taking a wrong turn? 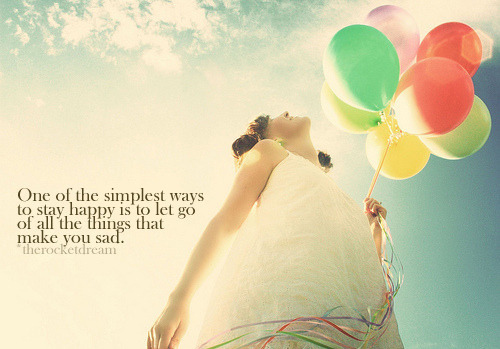 Letting go sounds like good advice but at the same time I have found BEing sad can prove to be a helpful guide. I am grateful for emotions. Oh Joy!